The Five Year Forward View Next Steps is clear on this: over the next two years, patients with less severe conditions will find it easier to access urgent care clinical advice, on the phone and online. Plans include rolling out enhanced triage across urgent care services, and potentially to urgent treatment centres, care homes and ambulance services. GP out of hours and 111 services will increasingly be combined. By 2019, NHS 111 will be able to book people into urgent face to face appointments where this is needed. As part of this transformation, NHS 111 is being enhanced so that patients access urgent care services that have been fully integrated. 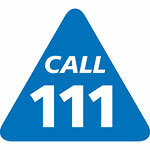 Patients calling NHS 111 who need clinical input will be transferred to a Care Clinical Assessment Service (CAS). They will speak directly to a clinician who will seek to complete the call there and then without the need to transfer the patient elsewhere. The CAS team will be able to directly book patients into an appointment at an Urgent Treatment Centre following a clinical assessment over the phone. Staff have to be ready to deliver these changes. They need the right framework to support them in making these changes effective and safe for patients. This need is recognised, and a joint programme of work between NHS England and Health Education England is in place to develop an optimal Integrated Urgent Care workforce. Decreasing inappropriate ambulance conveyance to emergency departments. In partnership with HEE, the programme has developed a range of guidance and signposting documents. These are the result of extensive research, engagement, piloting and testing activities with key stakeholders. Together they constitute the Integrated Urgent Care/NHS 111 Workforce Blueprint, which is referenced in the National Service Specification for Integrated Urgent Care Services. If you have any questions about the Integrated Urgent Care/NHS 111 Workforce Development Programme, please contact the team at england.worforcedevelopment111@nhs.net.